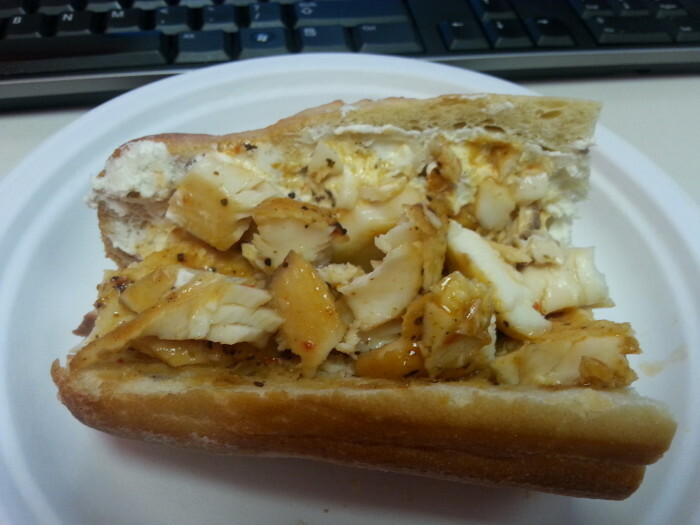 For the record, y’all…this post is brought to you by the tasty treats that are Gorton’s Seafood. Just because Brian doesn’t eat fishies doesn’t mean I won’t. And so I bring you joy. And a REALLY freakin’ easy, FAST meal. Because Gorton’s gave me some coupons for free fishies. And then I ate them. Not the coupons. The fishies. So…If you recall the last time I worked with Gorton’s, I reviewed their Simply Bakes Tilapia and Shrimp Scampi, which I made for the parents and mom’s bestie. Everyone was a fan. Gorton’s has since become an easy peasy staple in our freezer. So last night, when I got home I was FAMISHED. Starving. And I needed food immediately. Brian had already been informed that he was on his own for dinner, so he had prepared himself his favorite nasty frozen garlic chicken pasta thing that stinks up our entire apartment (and then he complains about fish?) I think he did it on purpose actually. But that’s a whole ‘nother story. 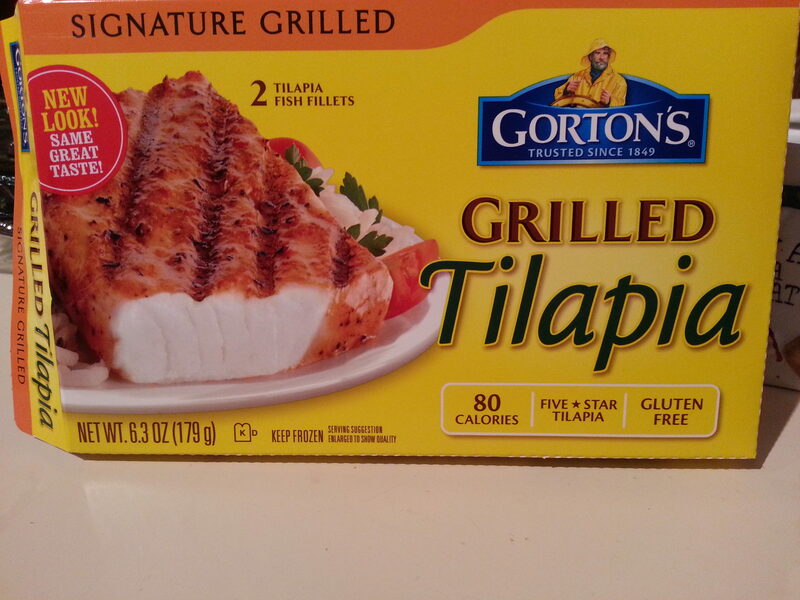 Anyways, I got home and took out the Gorton’s Grilled Tilapia, which is one of my faves. Not to be confused with the Simply Bakes Tilapia, this one is microwavable. Usually I bake this in the toaster oven, but I was on a time crunch. It was nuke it or eat Brian’s arm…I like two-armed hugs, so you can see my dilemma. I tried to time myself on this shiz, but then I realized I was spending more time taking pictures of my food than preparing it, so timing was damn near obsolete. It all worked out though, because in 15 minutes (including photo op time), I had a healthy and tasty dinner for me. 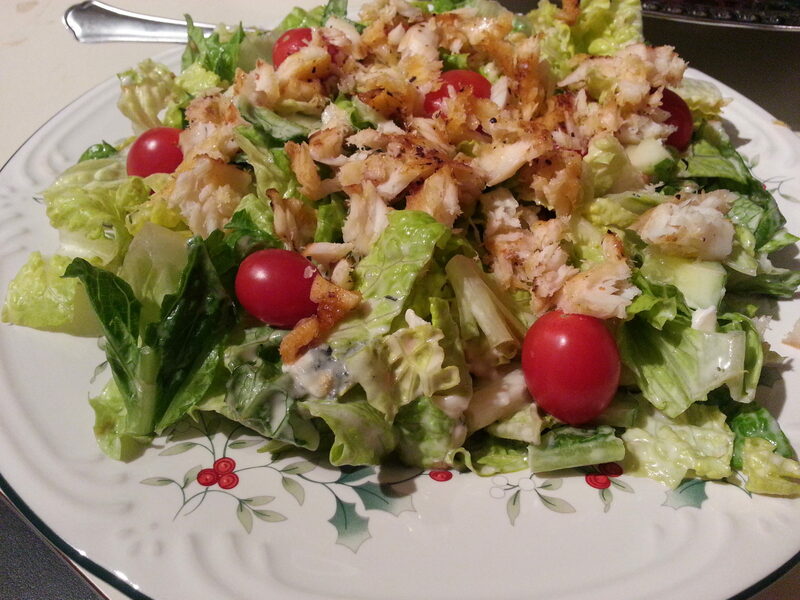 So while the fish fillet was nuking, I was prepping my salad. Super easy. Chop the romain, halve the ‘maters, slice and quarter the cukes, measure out some dressing. Take a veggie photo shoot. Mix contents in Pyrex. Done. 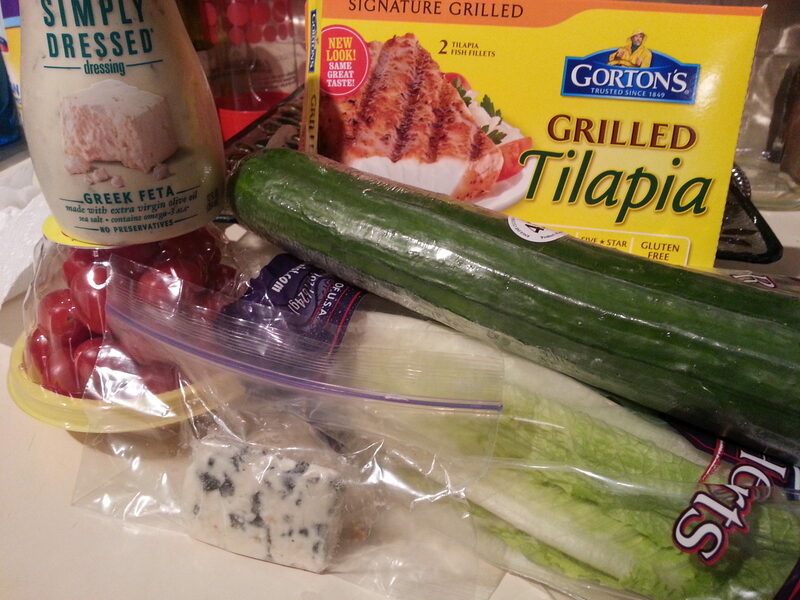 Why yes, I did add blue cheese to a salad that was going to have a Greek feta dressing. And it was delicious. Duh. The flaked fishies made it kind of pretty, right? I cooked the single fillet for 4 minutes, and it probably could have been done in 3.5, but I wanted to give myself more time to prep the salad. Whatevs. I still ate it all. Gorton’s is all about getting you to feel your best, so they’re working with bloggers and cool people like me to promote their Real Fabulous Sweepstakes where you can enter to win a $1,000 makeover. So go try them out for yourself. You can even visit Gorton’s Seafood and get yourself a coupon for fishies. Keep the conversation alive on Pinterest, Facebook and Instagram with the hashtag, #realfabulous. Not that I feel like you need this, but the FCC does…All of the opinions expressed here are mine. If you don’t believe me, step into my kitchen.